Welcome to the HubSpot Community! 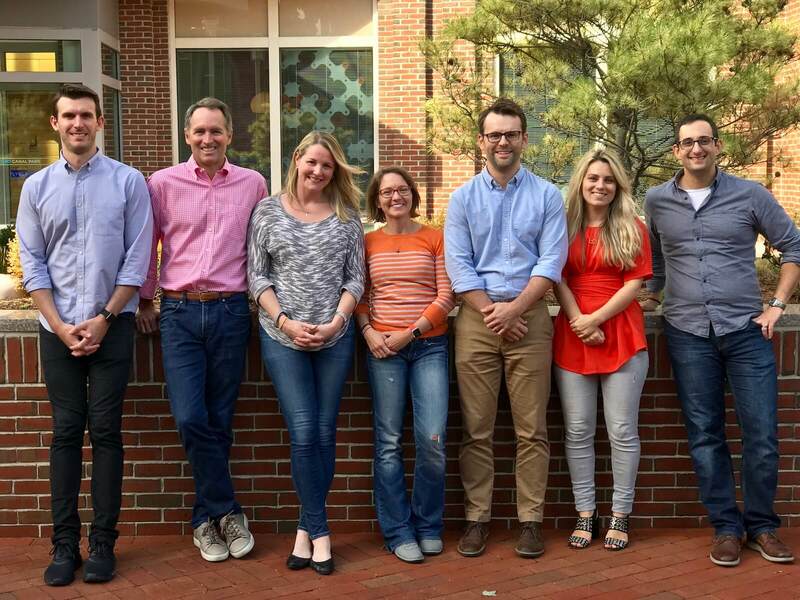 The community is made up of HubSpot users, partners and employees and serves as a go-to destination for HubSpot product know-how, peer-to-peer support and thought leadership on best practices. We also ideate with customers directly on how to improve and extend the HubSpot products. We’d love to see users learn from each other and build their influence and profile on the HubSpot Community. Every community user of ours agrees to abide by these Community TOU and is responsible for any violations. You are not allowed to assist or engage others in a way that would violate these Community TOU. We will enforce and ensure compliance with this Community TOU by using methods we consider to be appropriate. We reserve the right to modify these Community TOU at any time without giving you prior notice. You can find the most recent version here. Your use of the community following any such modification constitutes your agreement to follow and be bound by these Community TOU as modified. You agree to review the Community TOU on a regular basis and always remain in compliance. “Community Content” means all content, including without limitation, language, data, information, and images, provided through or disclosed by use of the HubSpot Community, whether by us, our customers, or other users of the HubSpot Community. Community Content does not include Your Content. “Community Usage Guidelines” means the policies applicable to users of the HubSpot Community which we have published at https://community.hubspot.com/t5/Guidelines-Announcements/Community-Guidelines/td-p/4.com, or another website we designate. “HubSpot Community” means the online community accessible at community.hubspot.com. "Sensitive Information" means credit or debit card numbers; personal financial account information; Social Security numbers; passport numbers; driver’s license numbers or similar identifiers; employment, financial or health information, including any information subject to regulations, laws or industry standards designed to protect data privacy and security, such as the Health Insurance Portability and Accountability Act and the Payment Card Industry Data Security Standards. "Third-Party Products" means products and professional services that are provided by third parties which may interoperate with or be used in connection with the HubSpot products. "Third-Party Sites" means third-party websites linked from within or accessed through the HubSpot Community. "HubSpot", "we", "us" or “our” means HubSpot, Inc. and our affiliates. "You" or "your" means the person or entity using the HubSpot Community. "Your Content” means all content, including without limitation, language, data, information, and images, provided through or disclosed by use of the HubSpot Community, by you. We will provide you access to use the HubSpot Community according to the terms of this Agreement. We may use third party service providers to provide some or all elements of the HubSpot Community. In order to access and use the HubSpot Community, you may be required to establish a username with a third party service provider, and you grant us the right to share the information necessary to enable your use of the HubSpot Community with our third party service providers. You may not use a username that: (i) belongs to someone else, (ii) impersonates another person, (iii) is misleading, (iv) violates any intellectual property or other proprietary rights, (v) is vulgar or offensive, (vi) uses ‘HubSpot’ as all or part of it, unless we provide express permission to do so, or (vii) we reject, which we may choose to do in our discretion. All information you provide in your profile must be accurate. If you believe your access to or use of the HubSpot Community has been breached, compromised, or unauthorized, notify us immediately at security@hubspot.com. a. Usage Guidelines. You must review and follow the Community Usage Guidelines. We may change the Community Usage Guidelines from time to time by updating the applicable website. Your use of the HubSpot Community is subject to the Community Usage Guidelines, which are incorporated to this Agreement by reference. b. Acceptable Use. You will use the HubSpot Community for its intended purpose only, and will not use it for solicitation or advertising purposes, unless we otherwise agree. Your Content should typically relate to inbound best practices, the HubSpot products or their use. The HubSpot Community is meant for public discussion, so you may not disclose or solicit anyone's private information or disclose confidential information. You are responsible for the use by third parties of any personal information disclosed by you to the HubSpot Community, whether or not you permitted such use. This means that no private or personal information should be exchanged within the HubSpot Community. Upon our consent, certain users may be permitted to include a link as part of their signature information, which another user may click to leave the HubSpot Community and obtain or share additional information. If you share your information by following one of these links, then you grant us the right to further share your information with trusted partners so that they may contact you about inbound marketing or sales service offerings. is in violation of any applicable law or regulation. c. Suspension and Notice of Violations. We may immediately suspend use of the HubSpot Community, without notice, for actual or suspected violations of the terms contained in this Section 3 (Your Conduct and Content). If you know of usage that is in violation of this Agreement, please let us know by contacting us at community@hubspot.com, and following the process for claims of copyright infringement described below. e. Our Use of Your Content. You grant to us all rights, licenses and permissions necessary to display, reproduce, disseminate, and otherwise use Your Content in connection with the HubSpot Community. We may edit or remove Your Content, or block or disable replies on a topic, at any time in our sole discretion. You are not granted a license to any software by this Agreement. The HubSpot products are protected by intellectual property laws, they belong to and are the property of us or our licensors (if any), and we retain all ownership rights to them. Our trademarks include, but are not limited to, those listed at http://legal.hubspot.com/trademarks (which we may update at any time without notice to you) and you may not use any of these without our prior written permission. We encourage all customers to comment on the HubSpot products, provide suggestions for improving them, and vote on suggestions they like. You agree that all such comments and suggestions will be non-confidential and that we own all rights to use and incorporate them into the HubSpot products, without payment or attribution to you. Third-Party Products and Third-Party Sites are not under our control. Third-Party Sites and Products are provided to you only as a convenience, and the availability of any Third-Party Site or Product does not mean we endorse, support or warranty the Third-Party Site or Product. a. Term. This Agreement will apply for as long as you use or maintain a username for the HubSpot Community. b. Termination and Suspension. We may terminate this Agreement and/or suspend your access to the HubSpot Community immediately if you: (i) violate any of the terms of this Agreement, (ii) use the HubSpot Community in a way which has or may negatively reflect on or affect us, our prospects, or our customers, or (iii) if we determine it to be necessary or desirable in our sole discretion. We are not obligated to provide you with any of Your Content used in connection with the HubSpot Community after termination. Termination or expiration of this Agreement shall not cause your subscription agreement to be terminated, if you have one. You represent and warrant that: (i) your participation in the HubSpot Community will not conflict with any of your existing agreements or arrangements, (ii) you have sufficient rights to share all Your Content with us for our use and with other users of the HubSpot Community, and that you are not violating any confidentiality obligations by submitting Your Content to the HubSpot Community, and (iii) that Your Content does not violate or constitute the infringement of any intellectual property right, right of privacy, right of publicity or other proprietary right. You will indemnify, defend and hold us harmless, at your expense, against any third-party claim, suit, action, or proceeding (each, an "Action") brought against us (and our officers, directors, employees, agents, service providers, licensors, and affiliates) by a third party to the extent that such Action is based upon or arises out of (a) your use of the HubSpot Community, (b) your disclosure or solicitation of personal information, (c) any use of personal information that you disclosed, whether this use is by you or a third party, (d) your noncompliance with or breach of this Agreement, or (e) your use of Third-Party Products or Third-Party Sites. We will: notify you in writing within thirty (30) days of our becoming aware of any such claim; give you sole control of the defense or settlement of such a claim; and provide you (at your expense) with any and all information and assistance reasonably requested by you to handle the defense or settlement of the claim. You shall not accept any settlement that (i) imposes an obligation on us; (ii) requires us to make an admission; or (iii) imposes liability not covered by these indemnifications or places restrictions on us without our prior written consent. a. Disclaimer of Warranties. WE AND OUR AFFILIATES AND AGENTS MAKE NO REPRESENTATIONS OR WARRANTIES ABOUT THE SUITABILITY, RELIABILITY, AVAILABILITY, TIMELINESS, SECURITY OR ACCURACY OF THE HUBSPOT PRODUCTS OR SERVICES, THE HUBSPOT COMMUNITY, OR THE COMMUNITY CONTENT FOR ANY PURPOSE. APPLICATION PROGRAMMING INTERFACES (APIs) MAY NOT BE AVAILABLE AT ALL TIMES. TO THE EXTENT PERMITTED BY LAW, THE HUBSPOT COMMUNITY IS PROVIDED "AS IS" WITHOUT WARRANTY OR CONDITION OF ANY KIND. WE DISCLAIM ALL WARRANTIES AND CONDITIONS OF ANY KIND WITH REGARD TO THE HUBSPOT COMMUNITY AND THE COMMUNITY CONTENT, INCLUDING ALL IMPLIED WARRANTIES OR CONDITIONS OF MERCHANTABILITY, FITNESS FOR A PARTICULAR PURPOSE, TITLE AND NON-INFRINGEMENT. THE HUBSPOT COMMUNITY AND COMMUNITY CONTENT MAY INCLUDE INACCURACIES OR TYPOGRAPHICAL ERRORS. c. Limitation of Liability. IF, NOTWITHSTANDING THE OTHER TERMS OF THIS AGREEMENT, WE ARE DETERMINED TO HAVE ANY LIABILITY TO YOU OR ANY THIRD PARTY, THE PARTIES AGREE THAT OUR AGGREGATE LIABILITY WILL BE LIMITED TO FIVE HUNDRED DOLLARS. d. Third Party Products and Sites. WE DISCLAIM ALL LIABILITY WITH RESPECT TO THIRD-PARTY PRODUCTS AND THIRD-PARTY SITES THAT YOU USE. OUR LICENSORS SHALL HAVE NO LIABILITY OF ANY KIND UNDER THIS AGREEMENT. YOU UNDERSTAND AND AGREE THAT ABSENT YOUR AGREEMENT TO THIS LIMITATION OF LIABILITY, WE WOULD NOT PROVIDE THE HUBSPOT COMMUNITY TO YOU. a. Amendment; No Waiver. We may update and change any part or all of this Agreement. If we update or change this Agreement, the updated Agreement will be posted at http://legal.hubspot.com/community-tou. The updated Agreement will become effective and binding on the next business day after it is posted. When we change this Agreement, the "Last Modified" date above will be updated to reflect the date of the most recent version. We encourage you to review this Agreement periodically. If you do not agree with a modification to this Agreement, you should not use the HubSpot Community. e. Compliance with Applicable Laws. You shall comply with all applicable foreign and domestic laws (including without limitation, export laws), governmental regulations, ordinances, and judicial administrative orders. Export laws and regulations of the United States and any other relevant local export laws and regulations may apply to the Community Content and the HubSpot products and services. You will comply with the sanctions programs administered by the Office of Foreign Assets Control (OFAC) of the US Department of the Treasury. You will not directly or indirectly export, re-export, or transfer the Community Content or the HubSpot products and services to prohibited countries or individuals or permit use of the Community Content or the HubSpot products and services by prohibited countries or individuals. f. Correction of Errors and Inaccuracies. The Community Content may contain typographical errors or other errors or inaccuracies and may not be complete or current. We therefore reserve the right to correct any errors, inaccuracies or omissions and to change or update the Community Content and Your Content at any time without prior notice. However, we do not guarantee that any errors, inaccuracies or omissions will be corrected. g. Severability. If any part of this Agreement is determined to be invalid or unenforceable by applicable law, then the invalid or unenforceable provision will be deemed superseded by a valid, enforceable provision that most closely matches the intent of the original provision and the remainder of this Agreement will continue in effect. h. Notices. Notice will be sent to the contact address set forth herein (as such may be changed by notice given to the other party), and will be deemed delivered as of the date of actual receipt. i. Entire Agreement. This Agreement is the entire agreement between us for HubSpot Community and supersedes all other proposals and agreements, whether electronic, oral or written, between us. We object to and reject any additional or different terms proposed by you, including those contained in your purchase order, acceptance or website. It is the express wish of both you and us that this Agreement and all related documents be drawn up in English. We might make versions of this Agreement available in languages other than English. If we do, the English version of this Agreement will govern our relationship and the translated version is provided for convenience only and will not be interpreted to modify the English version of this Agreement. k. Community Usage Guidelines. We may change the Community Usage Guidelines from time to time by updating our website. l. No Licenses. We grant to you only the rights and licenses expressly stated in this Agreement, and you receive no other rights or licenses with respect to us, the HubSpot products and services, our trademarks, or any other property or right of ours. m. Authority. Each party represents and warrants to the other that it has full power and authority to enter into this Agreement and that it is binding upon such party and enforceable in accordance with its terms. n. Survival. The following sections shall survive the expiration or termination of this Agreement: ‘HubSpot’s Proprietary Rights’, ‘Your Representations and Warranties’, ‘Indemnification’, ‘Disclaimers; Limitation of Liability’, and ‘General’.